The &apos;ICS RoundToe SingleStrap Diamante&apos; is one of the most popular styles within our famous ICS Collection. 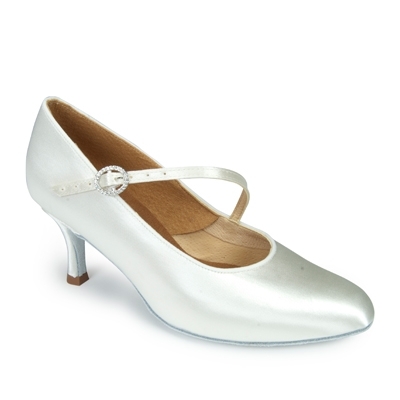 Online, this style is also available in Flesh Satin. If you would like this style in another material, heel or width, then please scroll to the description below to find out how we can make bespoke styles just for you. The heel pictured is the 2½" Ultra Flare heel.